The quaint village of Put-in-Bay is located three miles off the Ohio coast on South Bass Island. This seasonal destination has something that everyone will love. From playing a game of mini golf to enjoying a delicious waterfront meal, there are countless ways to enjoy your Put-in-Bay family vacation. If you’re planning a trip to South Bass Island, don’t forget to enter to win a free weekend! Each month, a new winner is selected to enjoy a complimentary weekend in one of the Island Club’s vacation home rentals. Are you feeling lucky? There are endless ways to entertain your family during your trip to South Bass Island. Which activity is first on your list? If you’re planning a trip to Put-in-Bay with kids, you have to visit Perry’s Cave Family Fun Center. Start your adventure by exploring Perry’s Cave itself, a registered Ohio Natural Landmark. Delve into the depths of this limestone cavern, marvel at the underground lake, and view stalactites and cave pearls along your journey. If you’d rather stay above ground, there’s plenty to keep you entertained! War of 18 Holes Mini Golf is an excellent course for all ages. As you play, you’ll learn historical facts about the War of 1812 and Commodore Perry. Another popular attraction is the Butterfly House, a 4,000 square foot aviary housing hundreds of beautiful butterflies. Of course, no family vacation would be complete without trying some of the best local cuisines! 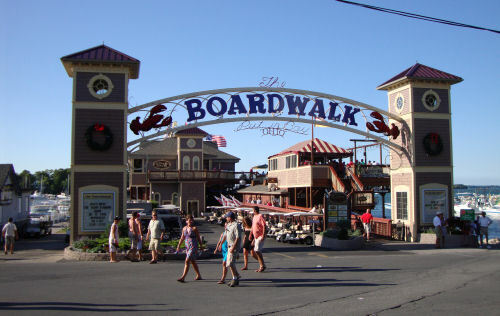 Eating a meal at The Boardwalk is one of our favorite things to do on Put-in-Bay. At The Boardwalk, you’ll find a collection of family-friendly restaurants, gorgeous views of Lake Erie, and mouthwatering seafood. You can’t leave Put-in-Bay without trying the famous lobster bisque! South Bass Island’s rich history spans centuries. Perry’s Victory and International Peace Memorial, the most massive Doric column in the world, honors those who fought in the Battle of Lake Erie. This battle was a significant United States victory and served as a turning point in the War of 1812. The monument is named after Commodore Oliver Hazard Perry, the naval commander whose strategic leadership led the Americans to victory in Put-in-Bay. Admission to the Visitors Center and the memorial grounds is free. However, there is a small fee to visit the Observation Deck. We highly recommend paying the admission charge to experience the stunning view from 317 feet above Lake Erie! Every year, Put-in-Bay’s Historical Weekend commemorates the island’s role in our nation’s history. Enjoy battle reenactments, art shows, and live entertaincment. Are you curious to learn more about Put-in-Bay’s role in the War of 1812? Read our blog about it! Golf carts are the preferred mode of transportation on Put-in-Bay. Kids and parents alike will love zooming around the island and exploring at your own pace. The Island Club’s golf cart rentals offer 4-, 6-, and 8-person carts for you to choose from. You’ll also have access to a special discounted rate when you book directly through our website. Golf carts are by far the best way to get around South Bass Island! The Nature Center is the best place to discover Lake Erie wildlife on the island! You and your kids will have the chance to get up close to animals and wildlife, including butterflies, snakes, wildflowers, and frogs. There are plenty of educational opportunities as well, including special programs available by appointment only. You can also attend an event, like the Island Green Week. Every year, this celebration promotes conservation and eco-friendly practices on Put-in-Bay. Are you ready to plan your visit? The wildlife center is open Memorial Day through Labor Day, and the admission rate is $8 per family. The South Bass Island Light, located at the southern end of the island, is listed on the National Register of Historic Places. The light was constructed in 1893 and is the only lighthouse in the country that is owned by a university (Ohio State). Kids will love taking a tour of the historic lighthouse and observing the extensive view from the top. If you’re not in town when the tours are running, you can explore the grounds for free! 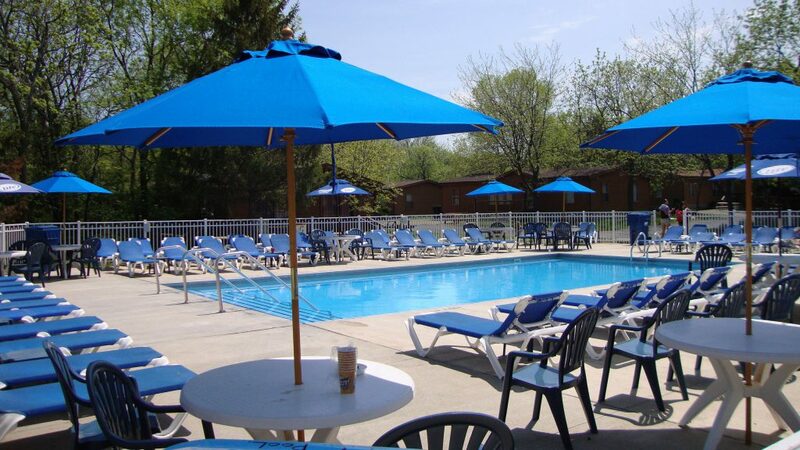 The best way to have an unforgettable Put-in-Bay family vacation is by booking a stay at the Island Club Home Rentals. Our spacious homes, exceptional service, and affordable prices make us a top lodging option on the island. Want to save even more? Our midweek specials offer free nights and extra discounts off your reservation. 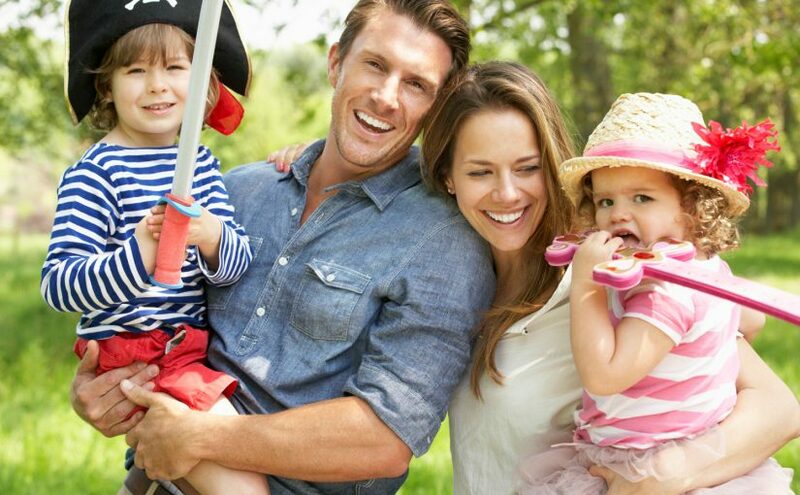 Families cherish the fun memories they make at the Island Club. Consider Island Club Home #65 when planning your next family trip. If you’re looking to save money, opt to cook a few meals in the home’s full kitchen or outdoor grill. With three bedrooms and spacious living areas, there’s plenty of room for everyone to spread out. Kids will delight in having their own bedrooms or sharing bunk beds with siblings. Another great aspect of staying at the Island Club is our first class amenities. During the mid-week, our swimming pool is family friendly, making it the perfect place for kids to splash around and soak up the sun. 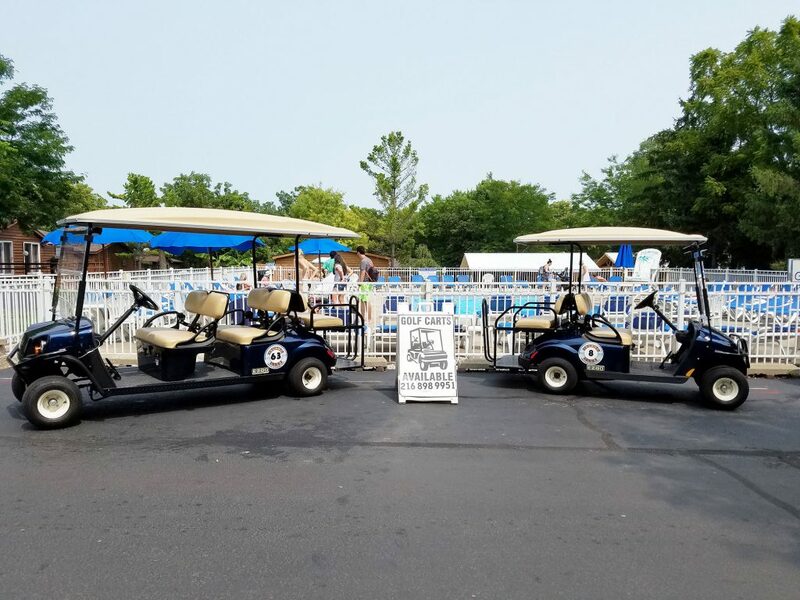 If you’d rather zip around Put-in-Bay, our on-site golf cart rentals are an excellent way to explore downtown. What are you waiting for? Your ultimate family vacation awaits. Check our availability and book today! Previous Previous post: #BookDirect – Learn how to save when traveling!